Rainbow Soup is a collaboration with Jessica Lewis Stevens of Sugarhouse Workshop. It is a collection of four letterpress prints inspired by the quilts and natural dyes that Jessica so lovingly pours her attention into creating while she cares for her two young boys in Vermont. 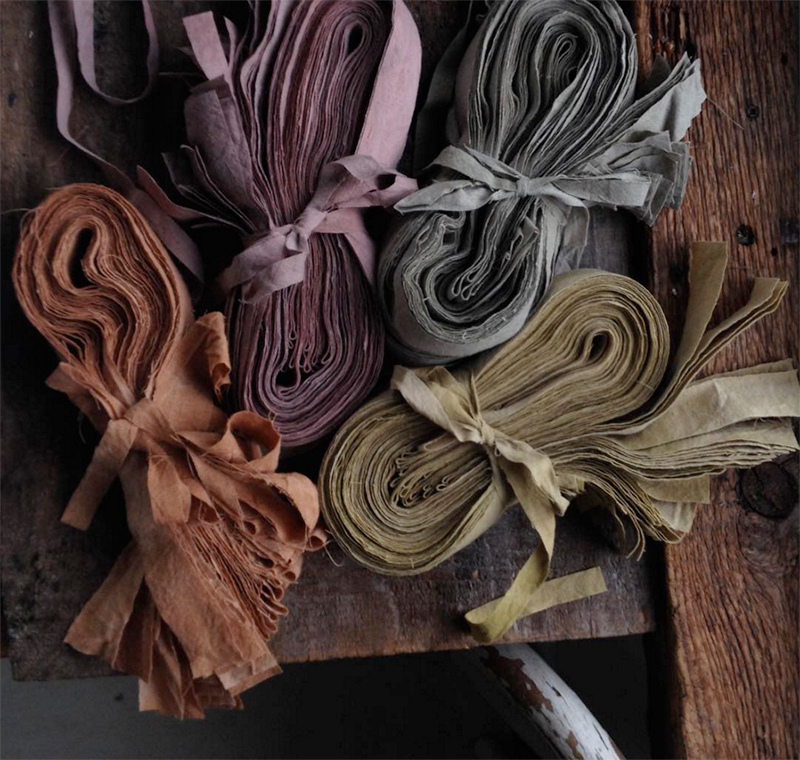 Pictured above are the cloth bundles of ribbons that Jessica hand dyed to wrap each of our prints in. We consciously left the design of each of the prints fairly minimalist to leave room for texture, color, and imagination in each of the illustrations. Because this collaboration is such a small edition, we were really able to invest time into all of the little details. We want each package to make its recipient feel thought about, considered, and celebrated when it arrives. Sometimes our collaboration ideas come to us fully formed and sometimes our collaboration is born out of a desire to work with a particular person or company and the desire to explore how to translate their work and world through letterpress and paper-- for Rainbow Soup it was the latter. We knew we wanted to explore Jessica's love for quilting and natural fabrics. 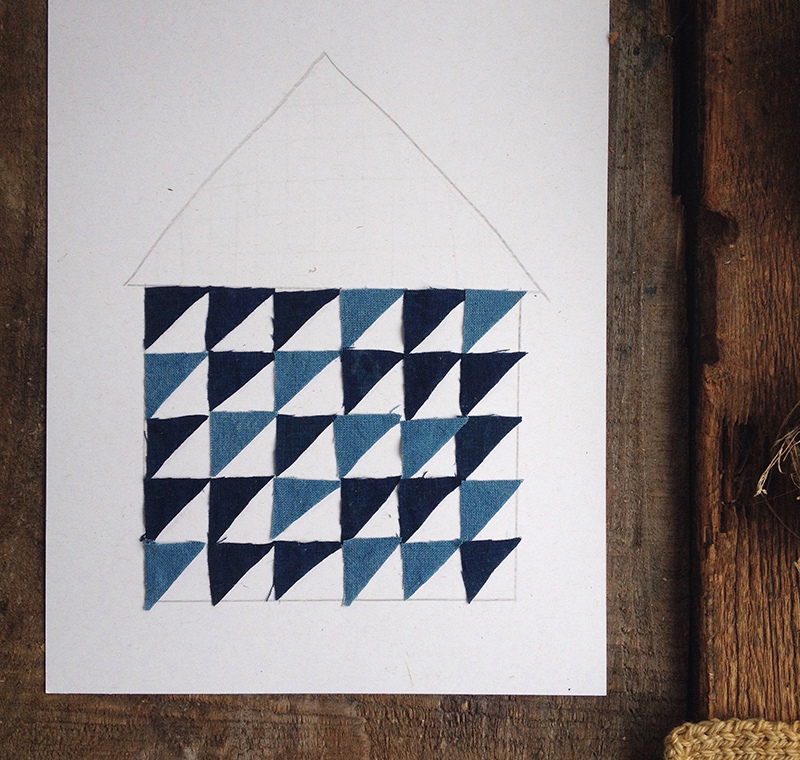 Jessica and I each made sketches of some different possibilities-- above you can see how this fabric, paper, and pencil house later turned into our Triangle House Print. Jessica is one of the reasons that I whole heartedly believe that the internet and social media can be magical places. We connected on Instagram several years ago -- we each had one child at the time (relatively close in age) and we both seemed to be focused on living a simple, intentional life that incorporated humble explorations of our own creativity. I was transfixed by her bravery in putting herself and her work out in that space in a tasteful way while still being 100% herself and so kind and supportive of everyone she followed. Regarding the imagery of these prints-- In both of our cases, our children are woven into nearly all of our waking hours and our work oftentimes reflect or involves them. We didn't set out to make prints for children, but the imagery of childhood was calling to us and Rainbow Soup was born.